This course will advance your understanding and practical skills of Guided Bone Regeneration (GBR) and give you the tools to improve the treatment of cases with bone defects using non-resorbable membranes. The lecturers will demonstrate how innovation and state of the art techniques can be brought together for excellent clinical results with a predictable outcome. 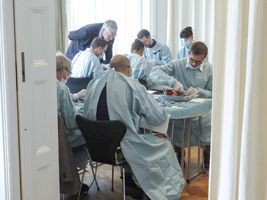 The lecturers; Prof. Christer Dahlin, Dr. David González and Dr. Erik Lennartsson will share their professional experiences during one day of lectures and a half day of hands-on training using pig jaw models. The lectures will be given in English, while the hands-on sessions will be offered in both English and Swedish. The hands-on sessions are recommended for clinicians who are acquainted with the use of membranes and want to improve their skills. Neoss® recognizes the need for further education and practical experience. From Implant Systems and Digital Dentistry, to Regenerative solutions; Neoss continues to provide innovative solutions and training for the requirements of tomorrow’s dentistry. We wish you a very warm welcome. Seize the opportunity and join us in beautiful Stockholm where you will experience the late summer nights still being bright and wonderful. 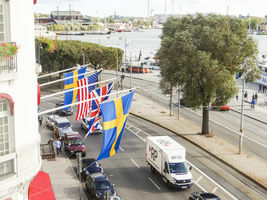 The course venue is located at 7A STRANDVÄGEN, next to our preferred hotel - Hotel Diplomat - attractively situated on the waterfront at Nybroviken in central Stockholm facing the Vasa Museum and with a short walk to the Royal Castle. 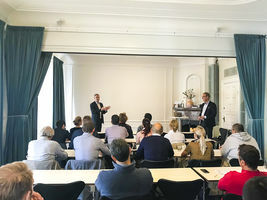 Course Venue - 7A Strandvägen is located on Stockholm’s own “Champs-Élysées” in one of Stockholm’s best preserved Art Nouveau buildings, only seven minutes walk from Stureplan and the nearest subway. 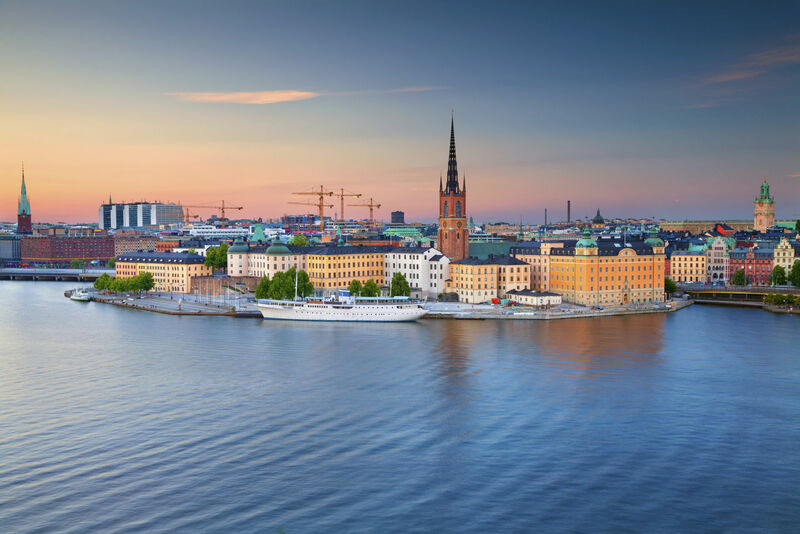 Several of their salons have Stockholm’s most beautiful views of Nybroviken and the boats of the Archipelago. For those who prefer travelling by bus or tram, there’s a stop right outside at Strandvägen and close to 7A Strandvägen. Recommended accommodation - Hotel Diplomat, an elegant deluxe hotel located by the Nybroviken harbor in central Stockholm, is owned and run by the fourth generation Malmström. The family have a longstanding interest in art, and in the corridors of the hotel, the work of Swedish artists adorns the walls. The building’s classic ‘Art Nouveau’ style has been preserved and is today combined with sophisticated decor and clear, Scandinavian design. The house, originally built as a residence palace, was converted into a luxury hotel in 1966, and therefore, all rooms at Hotel Diplomat are individual and unique. - Prof. Christer Dahlin: Role of barrier membranes in GBR - the biological principle revisited. This lecture will address the most recent findings within the field of guided bone regeneration and discuss how this will affect the clinical use of membranes. Christer will also address the design and biological function of the next generation of barrier membranes. - Dr. David González: Successful management of catastrophic implant failures in the esthetic zone using non-resorbable titanium reinforced membranes for 3D bone regeneration. This lecture will focus on the indications and surgical techniques regarding hard and soft tissue management for severe bone atrophy cases needing 3D bone augmentation (vertical and horizontal GBR for delayed implants placement) and the use of membranes for simultaneous guided bone regeneration. David will present a step-by-step procedure for the regeneration of large bone defects using NeoGen® non-resorbable membranes. - Dr. Erik Lennartsson: Soft tissue management in bone augmentation treatments using NeoGen membranes. This lecture will focus on soft tissue management and flap technique, keys to success when creating bone with non-resorbable membranes. The lecture will also cover patient selection, how to avoid pitfalls and how to handle typical complications in daily practice with nonresorbable membranes. Erik will in his clinically focused lecture show some of the 100+ NeoGen® cases to share his experience. To register, please click the button below, or download the Registration Form to complete and return to info@neoss.se. You may also register through your local Neoss representative, or by calling +46 (0)31 88-12 80. Please register by Friday, 5th July 2019 at the latest. 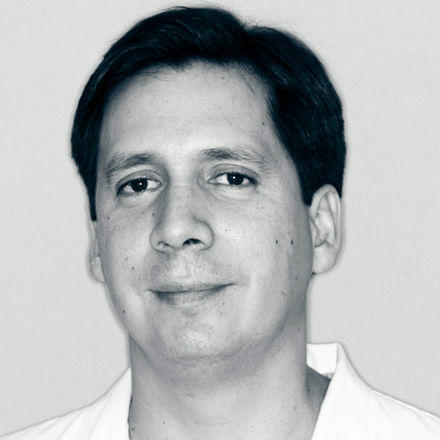 David defended his Ph.D thesis in Odontology in 1999 at Universidad Complutense in Madrid after completing a postgraduate program in Periodontology 1996-1999. In 2000 he joined the same university as a Specialist in Osseointegration before becoming a visiting professor of the postgraduate program of Periodontology in the University of Barcelona 2003. Between 2004–2012 he held a position as Professor in the General Dental Council of Spain. David is an International lecturer on congresses and courses, and has more than 40 publications in International and Spanish journals. He runs a private practice (Clinica OrtoPerio) dedicated exclusively to Periodontology and Implantology in Murcia, Spain since 2005. 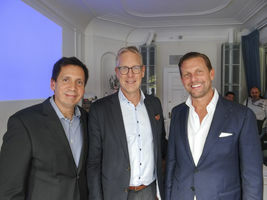 Erik Lennartsson graduated as a dentist from the Karolinska Institute in Stockholm in 2002 and completed a Master of Oral Implantology / Master of Science from the Goethe University, Frankfurt during 2011-2013. 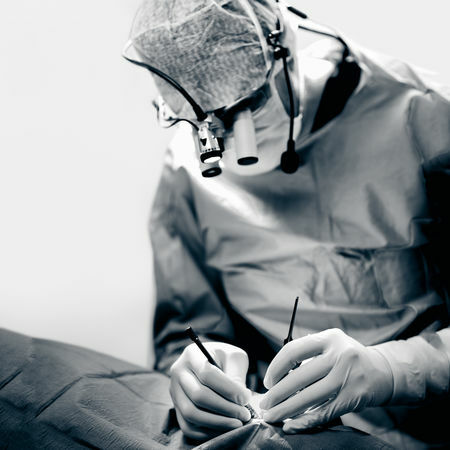 He has since been fully focused on implants and aesthetic surgery. 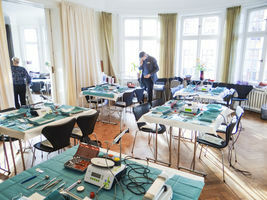 Erik and his team travelled around Sweden and the rest of Europe to support clinics with surgery for more than 10 years. In 2013 Erik started Dental Academy and performs only surgery on remitted patients. Today Erik has over 140 remitting dentists and performs over 900 implant operations annually. 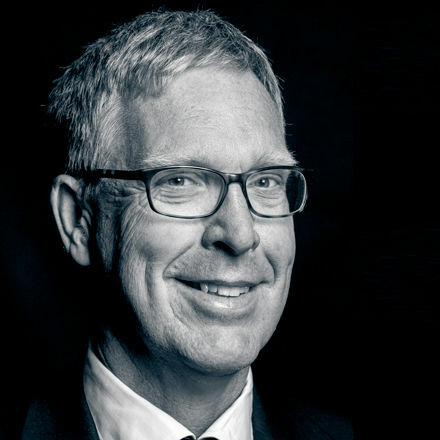 In addition of being a mentor at Goethe University and for research programs at Karolinska Institute, Erik lectures in subjects such as dental implants, soft tissue management and aesthetic surgery with microsurgical techniques.